Total coup at the Shellabaloo 2! Woo Woo! We are all so happy for Cindy from Missouri after she found this shellacious empty HORSE CONCH on the beach at the Island Inn yesterday during Shellabaloo 2. She is still two clouds above nine since she found it in the water in the midst of a pile of PEN SHELLS. How awesome! Congratshellations! Although this is a little blurry because of a “long arm” self portrait …Clark was there to meet everybody to share a few of his “Super Sheller” secrets as well. Yesterday we did a full shelling day on the secluded island of Cayo Costa by way of a boat cruise by Captiva Cruises. How fun! Once we got to the boat dock at the Cayo Costa State Park Ranger Station, we took an island style “shuttle” to get to the beach side. I was so surprised to find an area with oodles of SHARK’S TEETH and other FOSSILS like this STING RAY BARB on the far right of my hand! Donna and Rusty (Apopka, FL) found some too! Susan (Guantanamo Bay, Cuba) was thrilled to find SHARK’S TEETH too! She showed me her SHARKS TEETH, then asked me about another piece she found… Oh Yaya! It’s a FOSSIL PUFFER FISH MOUTHPLATE! Cindy and her husband Roger (MO) said they spent a whole day in Venice, Florida last year but didn’t find one SHARKS TOOTH. They were both thrilled to find their first ones! Lee (Guantanamo Bay, Cuba) had the eye for bigger shells..
PreviousYahoo! Shellabaloo 2 Is Here! What a beauty -I hope to find one like that one day soon. After Tom and I packed up we went back to the beach and saw a beautiful display of hundreds of string rays swimming back and forth looking for fish then a little farther our some manatees and dolphins and some bigger fish. A little display from Mother Nature is always a good thing. Now resting up for a trip to Marco Island . I need to plan a trip to Shellaboo!!!! I just returned from a trip to Topsail Island on the NC coast, I found a Stingray plate and was able to recognize it from reading your posts.. thank you!!!! I found plenty of shark teeth and we found a large 2 inch tooth. I have never found an intact whelk… thats on my “Sand Bucket List” ! Yeah Cindy, that horse conch is a beauty,Hope she sends you a pic to post after it is all cleaned up. I had the same experience trying to catch a good pic of about 10 dolphins catching fish very near to me. I maybe got one pic. 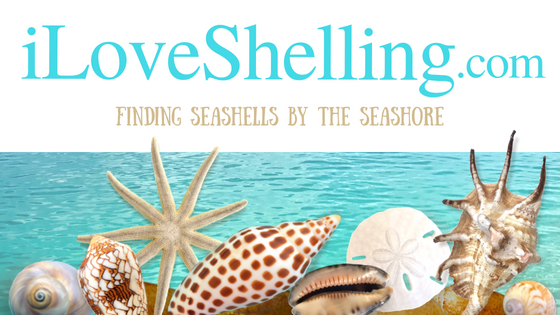 One day I will attend shellabaloza, looks like my kind of ladies, crazy for shells. Until then its Honeymoon Island for me and to toot my own horn I found a golden olive the other day, my first ever. Cindy is one lucky lady, I want her to pick some lottery numbers for me so I can win and buy a place at Sanibel !! Can’t wait to see her huge Horse Conch all cleaned up! The Shellabaloo 2 looks like so much fun, I hope to attend on in the future! Fun, fun, fun, and learned so much. Thank u Pam! Some great shelling when we returned to our beach. I will send you pictures when I get home and get them organized! Congrats, Kelly on the GOLDEN OLIVE! 41 years ago we found one out on a sand bar – butter yellow….I’d love to find another! PAM, congrats on another great week-end – looks like you and mother nature picked a fabshellacious week for # 2!!!!! And what a horse conch….I’m definitely getting my snorkel out next trip! Looks like another fabulous time!! I must attend the next one!! Congrats Cindy & all you gorgeous people there! Good times. Amazing teeth & fossils. Oh please keep showing your finds. This is making my day. Wish I was there with you all. OH MY GOSH!!! I can’t get over that horse conch…on the beach…at Island Inn….Oh My GOSH!! These past few weeks have been so awesome. I am glad to see it continue thru Shellabaloo. Congrats Everyone on your amazing finds. Looks like a marvelous time to be on the islands. Kelly! Congrats on your golden olive! That FOSSIL PUFFER FISH MOUTHPIECE really “rocks” !! off my fins & snorkel !! All I can say is…WOW! Wowee! Never knew fossilized puffer mouthplates exist for the finding. Can’t wait to see more pics. what a great find! Patty and I are heading down saturday so save some nice things for us! I hope you might be able to share a picture of this beautiful shell after you clean it up. I would love to see it! We were at a beach when someone just pulled a big one just like that and I was so happy for her…..that was last Saturday May 4th 2013! So glad you all had fun….I love Sanibel Island. Today starts my 1st day of vacation this year on lovely Sanibel Island. I get so excited each year that I return …….it’s almost like Xmas morning! Lets hope I find some more treasures this year. Bill and I were lucky enough to meet Margie and Paula from Alabama at breakfast one morning! They are super nice, and recommended some fun things to do on the Island. We also found a huge horse conch at the Island Inn! It was incredible to see so many live ones, and we were having a blast marveling at their orange-red color when we turned one over to find it empty. Woo hoo! Congratshellations to Cindy too! We loved Cayo Costa, but we only took a half day trip. It wasn’t nearly enough time considering that we spent about half hour watching 6 manatees play so close to shore I was afraid they’d beach themselves. That was like the fireworks show at the end of a beautiful trip! I never thought I’d get lucky enough to see 1 pop its nose up, but to see 6 full body manatees with their cute little faces playing so close to me made me tear up! I still get a little weepy remembering it. Can you tell me how to preserve a sea urchin? It still has all of its spikes, and I’d like them to stay if possible. One more question, and I promise to stop hijacking your comments. Bill and I found a huge anchor that the surf uncovered in the water to the left of the Island Inn. We thought about pirate treasure, so we started shelling around it and found some really beautiful shells including a king’s crown. Sadly, no pieces of 8 came up. lol! The next day, the surf had again covered it with sand. Do you possibly know what ship the anchor belonged to, or is that like asking about a needle in a haystack? Pam, Do you have a date for your next Shellabaloo ? The spines will prob fall off over time… But if u rinse it really well ( and make sure everything isnout id the inside) and let it dry then put mineral oil in it maybe it will keep the spines on for a longer time. There is no place like Sanibel; that is for sure!!! Wow loved the post! Thought of your blog when I was walking the beach today in laguna and found…..A WORMIE! I was so surprised to see them here! See? California and florida have some commonalities! I guess NJ also has something in common with Sanibel. Today I found three slipper shells at East Point Lighthouse beach. I never realized they lived here in NJ. Finding fossils is almost as much fun as finding shells. Do they usually turn up on Cayo Costa? If your camera battery was charged (LOL! )…did you get any pics? If so, can you pls email me?